One of our France travel vacations included Bordeaux. This is the second leg of our two weeks in France. The first of our France travel vacations starts with 3 days in the northwest, in Brittany France. We started early this morning riding regional France trains from Brittany France to Bordeaux. Traveling on France trains can be quicker, cheaper and more relaxing than driving in France when traveling long distances. There are expensive toll roads on this journey south. The train ride south follows the Atlantic coast French beaches. The weather starts to change from cool to warm and slightly humid. The light changes to clear and brighter reflecting the water and sand of French beaches along this coast. Learn more about France beaches on the Atlantic. At Bordeaux train station (Gare Bordeaux Saint Jean) we picked up our Hertz Rental car reserved from home via Priceline. (Priceline offers great prices on cars and hotels). Priceline Rental Cars up to 40% off Alamo, Avis, Budget, Hertz & more. Priceline gave us a very reasonable rate that was cheaper than Europcar which is usually considered the cheapest. The Bordeaux train station is very busy. The culture of France here in the southwest is very different from the culture of France in Brittany. Brittany France is Celtic, temperatures are cooler and people a bit buttoned up. In Bordeaux people are more colorful with wild outfits and young people with tattoos and piercing. Bordeaux is a big city with its prosperity centered on the Bordeaux fine wine industry. Bordeaux fine wine is what the Bordeaux France wine region is about. 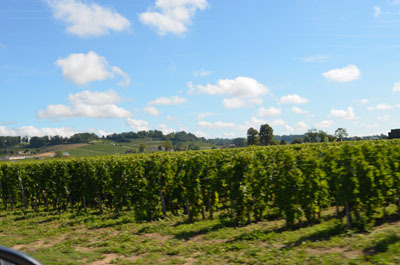 It is the largest region of vineyards in France, and the world’s largest fine wine region. If you’re a wine lover don’t miss it. Bordeaux is one of 12 French wine regions. 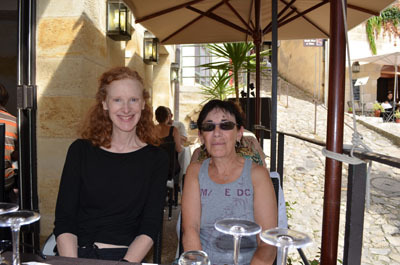 Since we were to drive to Sarlat in the Dordogne the next day I made reservations outside of the city at a motel just off the highway, in Libourne at the Kyriad Libourne Hotel. I did not know how tired we would be so I thought it would be easier than going out of our way to Saint-Émilion. Nice basic motel, A comfortable bed after a long day of traveling. For dinner we decided not to eat at the hotel like everyone else (should have told us something) but to go into town. Mistake. Not knowing Where to go and being very tired, we chose a terrible restaurant. I had dried up overcooked fish and I couldn’t wait to get out of there. It looked like a very fine restaurant. Live and learn. Yes, today you can get lousy food in France. This morning drove 20 minutes from Libourne to the town of Saint-Émilion (approx 9 km/6 mi) to meet cousins Paul and Marie-Paule who were starting their vacation there. Such fun, we’ve only ever seen them in Brittany France where they live. 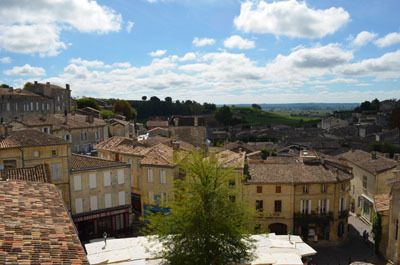 Saint-Émilion is named after Émilion, a hermit in the 8th century who lived there in a cave. 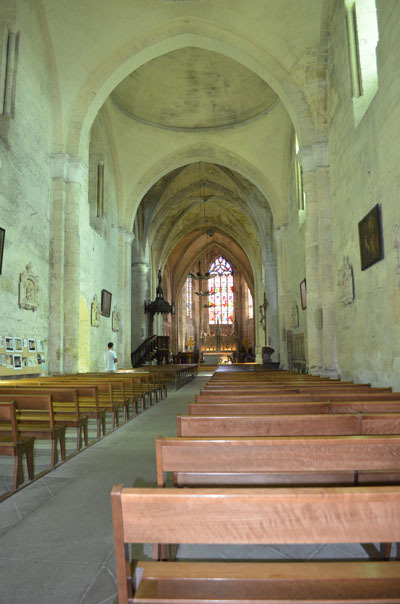 Eventually a monastery followed and by the Middle Ages Saint-Émilion became a small town. You can still see the Medieval architecture lining the town streets. 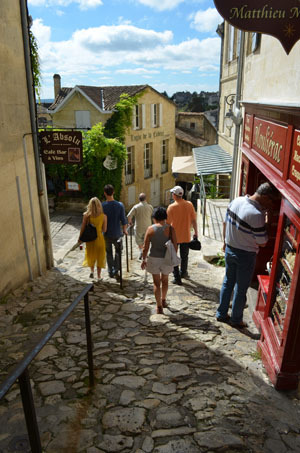 Not only is Saint-Émilion a stunningly beautiful town but at the center of the Bordeaux fine red wine district. We met in the upper part of town and visited the church and cloister. 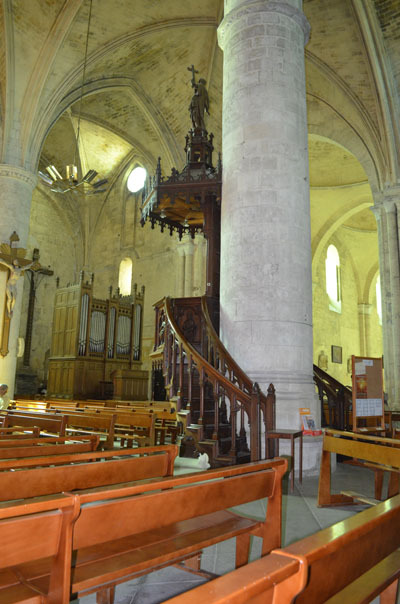 The church dates back to the Middle Ages being built by the followers of Saint-Émilion. You can still see parts of the original that was dug out of the cliff, but it’s spoiled by concrete columns built so it won’t collapse. It’s still beautiful but not a must see. Not only does Paul love old churches but he is a Bordeaux fine wine enthusiast and avid traveler. He and his wife take France travel vacations all over France and the rest of Europe in their camping car. This trip they stayed on the grounds of a Château that was free for camping cars. Earlier that morning they did a Bordeaux wine tour and bought some of the Château’s wine. Paul took us to Les Maison du Vin, the wine center in town. 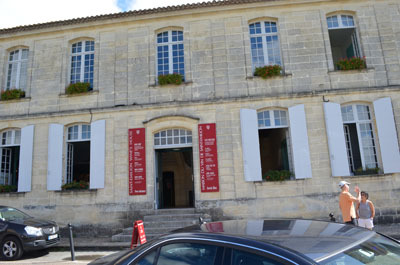 Every major wine town has a Maison du Vin. 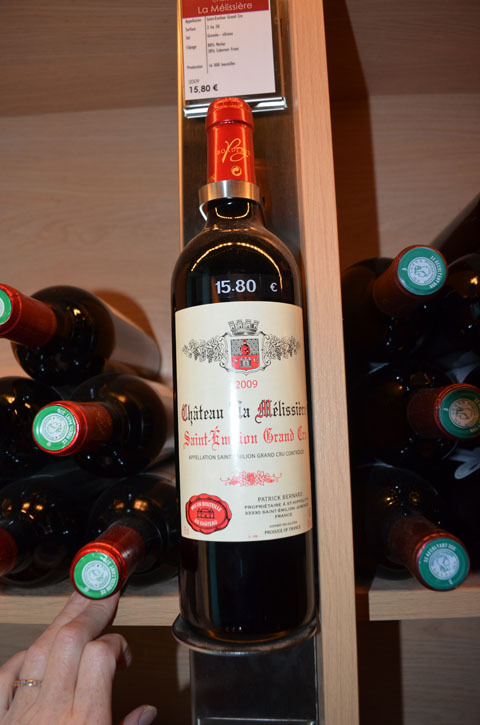 Here you can get information on a Bordeaux wine tour, Bordeaux wine tasting and buying. We took a stroll down the aisles filled with Bordeaux fine wine for sale. 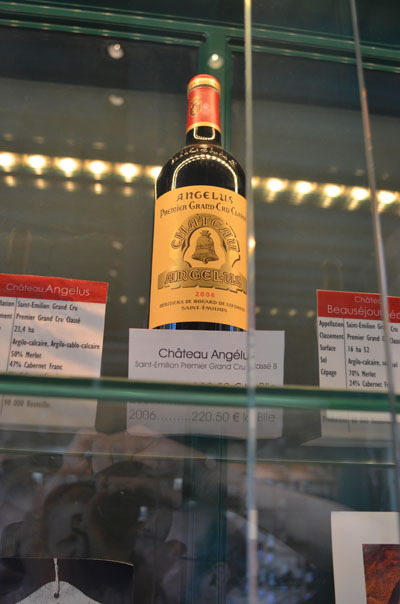 Each wine had a card with description of the Bordeaux wines producer and price. Paul discovered that the wine he purchased at the Château was a little cheaper here. 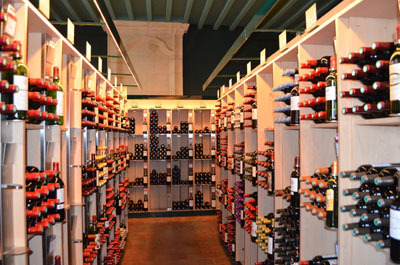 There are four levels of wine, priced from 6 Euros to 400 Euros a bottle! France travel vacations in St-Emilion are not all wine but good food too. We had lunch at a beautiful place and ate outside looking over the steep sloped cobbled street. Paul had a good time watching the ladies in heels navigating the steep hill and finally take off their shoes. Good food too. 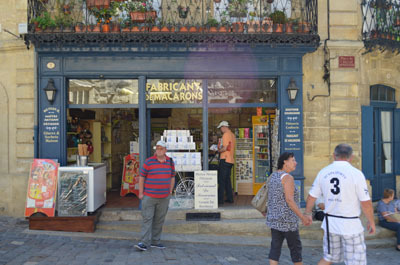 Besides wine Saint-Émilion is also famous for macaroons. French “macarons” are made with egg white, sugar, (not coconut like in the States) and ground almonds. Very delicious and light. 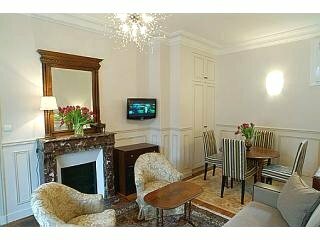 Your France travel vacations in the Bordeaux fine wine region can easily be a few days. 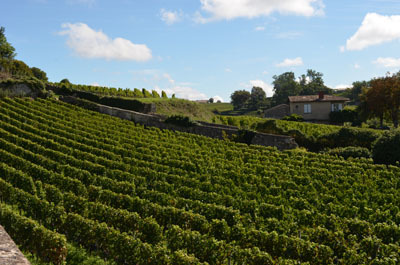 Take time to visit a vineyard, do a Bordeaux wine tour and a Bordeaux wine tasting. Take time to relax, enjoy the beautiful countryside and the wine culture of France.